Wikidata is a freely licensededitable linked open database that describes more than 51 million items. Originally intended to provide the structured data underpinnings for Wikipedia and related projects, it is now used as a source for the Google and Bing knowledge graphs, the Virtual International Authority File (VIAF), and other efforts relevant to researchers and practitioners in the field of information studies. 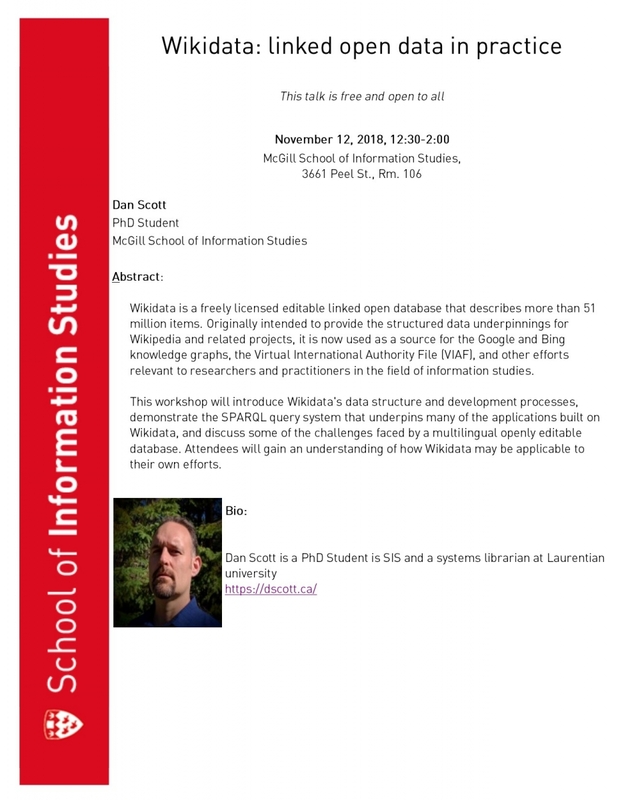 This workshop will introduceWikidata's data structure and development processes, demonstrate the SPARQL query system that underpins many of the applications built on Wikidata, and discuss some of the challenges faced by a multilingual openly editable database. Attendees will gain an understanding of how Wikidata maybe applicable to their own efforts.